On May 13, 2009, Amex filed a petition to cancel with the Trademark Trial and Appeal Board. See American Express Marketing & Development Corp. et al v. Black Card, LLC, Cancellation No. 92050968 (TTAB). 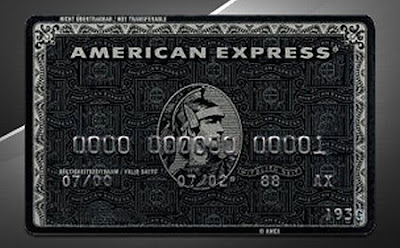 On February 16, 2010, BC filed an action in Wyoming that sought a declaratory judgment regarding Amex’s rights to “Black Card” as well as other trademark and unfair competition claims. On February 26, 2010, Amex filed the instant action in New York District Court alleging its own trademark and unfair competition claims as well as seeking to cancel BC’s registration under §2(e) of the Lanham Act. The TTAB’s proceeding was suspended on May 7, 2010, pending the outcome of the lawsuits. Moreover, Amex was able to get BC’s Wyoming complaint dismissed as an anticipatory filing. BC later refiled its counterclaims in the New York action. The parties later stipulated to have Amex's claims for monetary damages and BC's federal and state trademark infringement and unfair competition claims dismissed with prejudice. Upon close of discovery, the parties filed cross motions for summary judgment, with Amex moving for partial summary judgment on its §2(e) cancellation claim. When the PTO issues a certificate of registration for a mark, a rebuttable presumption arises that the mark is protectable. Papercutter, 900 F.2d at 562-63. "Registration by the PTO without proof of secondary meaning creates the presumption that the mark is more than merely descriptive, and, thus, that the mark is inherently distinctive." Lane Capital, 192 F.3d at 345. The fact of registration, however, "shall not preclude another person from proving any legal or equitable defense or defect . . . which might have been asserted if such mark had not been registered." 15 U.S.C. § 1115(a). The party challenging the registration "bears the burden to rebut the presumption of [the] mark's protectability by a preponderance of the evidence." Lane Capital, 192 F.3d at 345. "The presumption may be rebutted by a showing that the mark is descriptive, not suggestive." Papercutter, 900 F.2d at 563. The presumption, in short, is a "procedural advantage" to the registrant and nothing else. Lane Capital, 192 F.3d at 345. It is not "itself evidence of how the public actually views the mark." Id. "The presumption of validity that federal registration confers evaporates as soon as evidence of invalidity is presented. Its only function is to incite such evidence, and when the function has been performed the presumption drops out of the case." Id. (citation omitted). 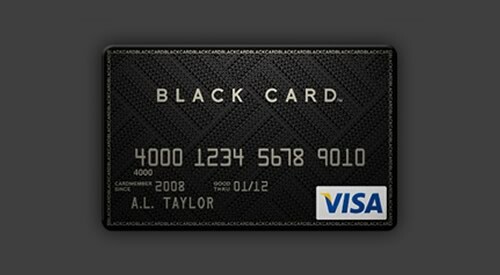 Within the credit card industry, the word "black" is descriptive in a second sense as well. Largely through the efforts of Amex, the word "black", when used in connection with credit cards is understood to describe access to premium credit card services. Indeed, this was the very reason that Blum chose the mark "BLACKCARD" for his credit card. The term "BLACKCARD" immediately calls to mind an important aspect or characteristic of the product and describes the product's principal features and qualities. It is, in essence, communicating the grade of credit card offered by BC. The black-colored credit card marketed by BC is central enough to the overall product, however defined, to render "BLACKCARD" a descriptive mark.